Firstly, let’s get this out of the way: £82 ($165CAD) is an absurd amount of money to spend on a thing that you’re just going to stab with knives. 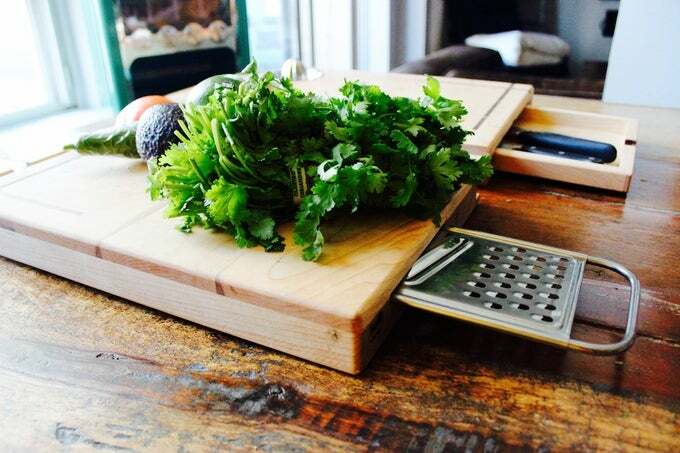 However, the modestly named “ULTIMATE CUTTING BOARD” actually goes a long way to justifying its ultimate price tag. The board is big, generously thick, and made of maple. It splits into two pieces to work as serving platters, with magnets keeping the halves in place when you want to use it as a board.